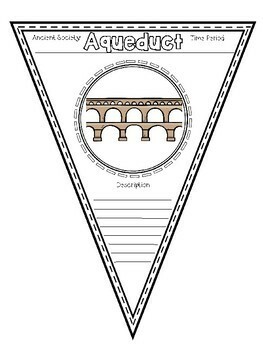 This is intended for Ontario Grade 4 Social Studies- Early Civilizations. 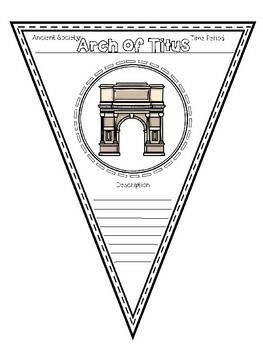 This is a resource for students to create pennants for a word wall for social studies. 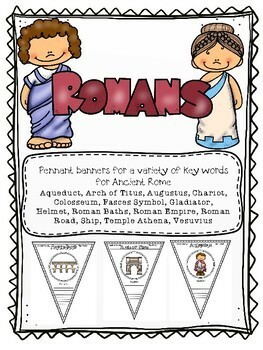 Each pennant has a key word from one ancient civilization (Rome), an accompanying picture, and spaces for the students to write a description, the time period, and the ancient civilization. 14 pennants in total. 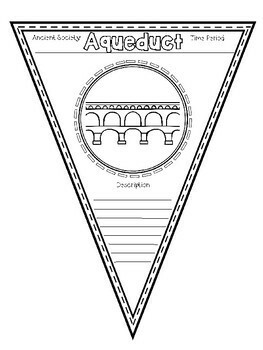 There are two versions of each pennant, one in which the picture is black and white, and one in which the picture has colour.